The world record for the greatest distance traveled on a hoverboard has been smashed by a Frenchman doing his best impression of Spider-Man villain, the Green Goblin. Jet ski racer-turned-entrepreneur Franky Zapata is no mad scientist. 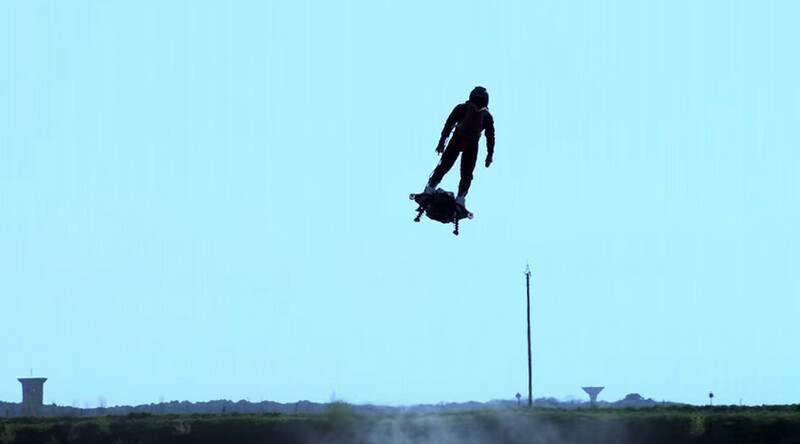 However, his Flyboard Air hoverboard, which can reach speeds of 150kph (94mph), is scarily similar to the comic book supervillain’s Goblin Glider. Guinness World Records have confirmed that Zapata’s hoverboard managed to cover 2,252 meters at a height of 50 meters near Sausset-les-Pins harbour. The Flyboard Air is manufactured by the Frenchman’s Zapata Racing company, which claims the pod can climb 3048 meters (10,000ft) into the air. Prior to achieving the record on April 30, Zapata warned that the prototype had been working for just four or five weeks. Zapata’s Flyboard is different from his firm’s previous creations in that it is propelled by jets rather than water. Footage of the amazing world record shows the daredevil lifting off from a beach in the south of France. With a fuel pack on his back, Zapata is filmed gaining some incredible height and speed as a fleet of support boats struggle to keep up. He later told Guinness World Records that the feat was the culmination of “a life’s work”. “I just dreamed that five years ago but nobody believed it was possible and today to see that we realise our dream is just one of the best moments of my life,” the jet ski champion said. A test flight video released on the Flyboard Air Youtube channel provides a clearer look at the hoverboard’s capabilities, showing that Zapata uses a handheld joystick to maneuver while on the device.